"I hate school! I hate ratings! I won't reach higher! I won't strive harder! I won't make tomorrow better than today!" In the walled city of Aramanth, exams are everything - not only for children, but for whole families. When Kestrel Hath dares to rebel, the Chief Examiner humiliates her father and sentences the family to the harshest punishment. Desperate to save them, Kestrel discovers that life in Aramanth was once different - and if she can find the secret of the Wind Singer, maybe life can change for the better once more. 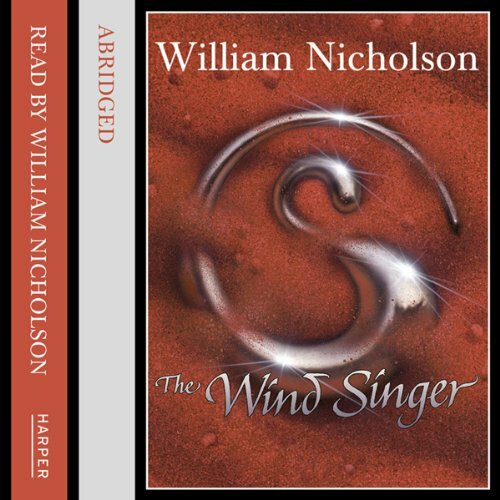 I've read this book many many times and I love this triology, so I was disappointed to discover that throughout the audio book there are chunks of the story missing in quite a number of places. I was under the impression I was paying for the whole book not 80% of it. The book is already short so this is actually pretty lazy.